Jupiter is way hotter than it should be. And the planet has the biggest storm in the solar system. James O’Donoghue and his team found a relation between these things. This big storm is called the Great Red Spot, because it’s a big red spot. This spot is in fact a giant cyclone in Jupiter’s atmosphere. But it’s not just a normal cyclone, it’s an anticyclone, which means that it turns in the opposite direction of all the other gases in Jupiter’s atmosphere. This creates a rather pretty pattern on Jupiter. 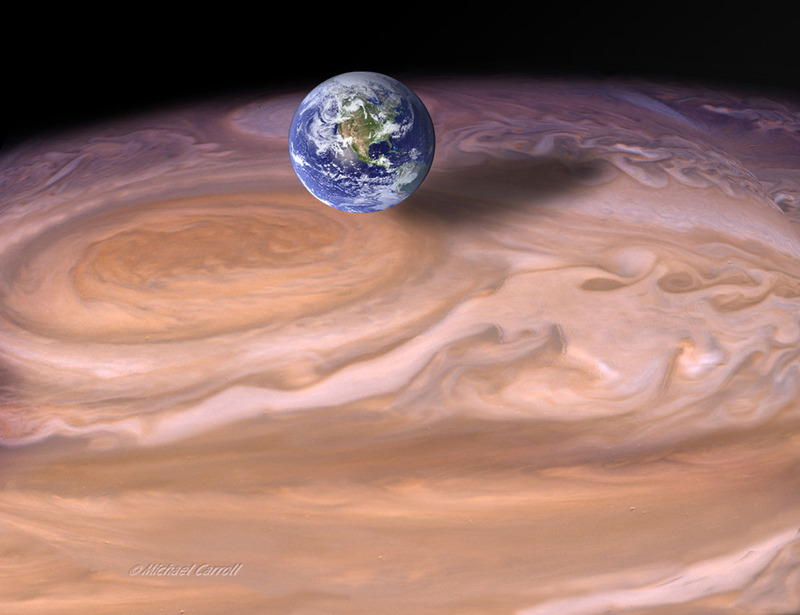 It’s so huge because Jupiter is a gas planet, so it has no rocky surface like earth does. There is therefore less friction and cyclone is not slowed, thus keeping its size. This is also the reason why the Great Red Spot has been around for so long. The spot has been around for at least 186 years, but Robert Hooke, a 17th century scientist, also claimed to have seen the spot 351 years ago. But now, the Great Red Spot also appears to do something else, and it’s pretty warm. Where does that heat come from? Scientists discovered a really weird thing about Jupiter. The planet is a couple of hundreds of degrees Celsius hotter than the planet is supposed to be if it was heated only by the sun. Scientists proposed to explain this by saying that Jupiter was heated up by its polar light, but computer models showed that the heat created by polar light would just stay around the poles, and not spread to lower latitudes. But now scientists have a new theory. The Great Red Spot is one of the hottest objects in Jupiter’s atmosphere. James O’Donoghue and his team measured temperatures above the Great Red Spot that were 370 degrees Celsius higher than the surrounding atmosphere. 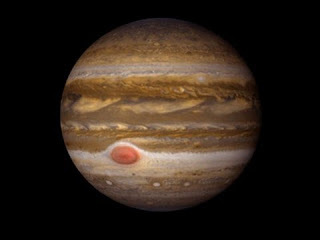 And now they think the Red Spot is actually giving us a little sneak peek into Jupiter’s lower atmosphere, which we cannot usually see due to the high number of thunderstorms taking place. O’Donoghue and his team now think that these thunderstorms can actually heat up the whole planet, and especially the lower regions of the atmosphere, to the point that it is way hotter than it’s supposed to be. The reason that there’s so much heat above the Great Red Spot, and not so much above other parts of Jupiter’s upper atmosphere, is that both layers of the atmosphere get mixed together by that giant storm, and with that their temperatures also mix. In the Red Spot, a lot of this heat ends up in the higher part of Jupiter’s atmosphere, and not just in the lower atmosphere. Meanwhile, in the rest of Jupiter’s atmosphere, the upper atmosphere is only heated from below, by the extremely hot lower atmosphere, and both layers don’t really get mixed. Because of this, the rest of Jupiter’s top layer isn’t as hot as the Red Spot, but still way hotter than the sun would make the planet. This shows how a huge spot can give us a huge insight into a huge planet.